Thanks to @TheCulinaryBee for creating this boozy Joe & Seph’s Masterpiece! Prepare four large glasses. Using a teaspoon, drizzle Joe & Seph's Gin & Tonic Caramel Sauce down the inside of each glass. Add 2 large scoops of Vanilla Bean Ice cream into each glass, and pour in around 100ml of Milk into each glass. Then gently stir to combine, being careful not to disturb the caramel sauce. 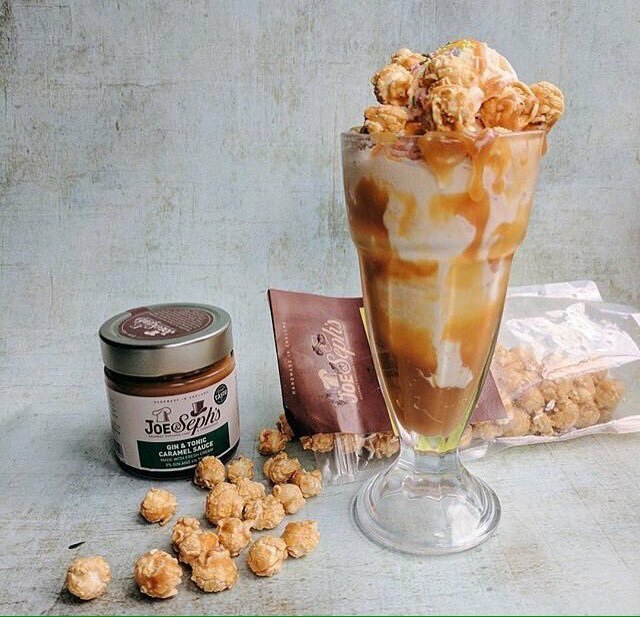 Top with a generous amount of Joe & Seph's Gin & Tonic Popcorn and another drizzle of caramel sauce and serve immediately!